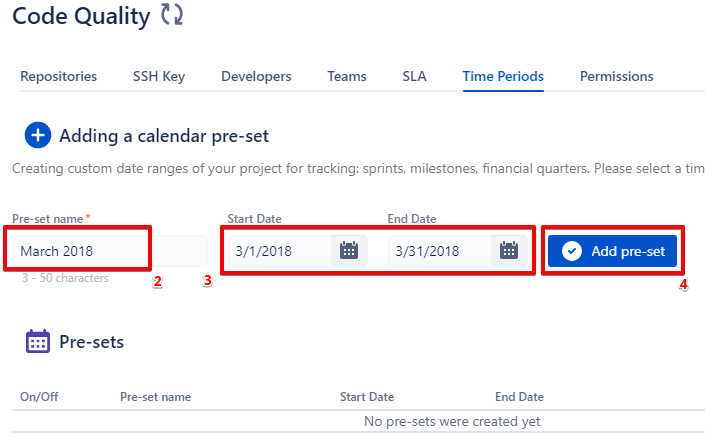 How to add a calendar pre-set - code quality for jira | how-to's - Code Quality Products @ Diligences Inc. It is possible to create your own time period. 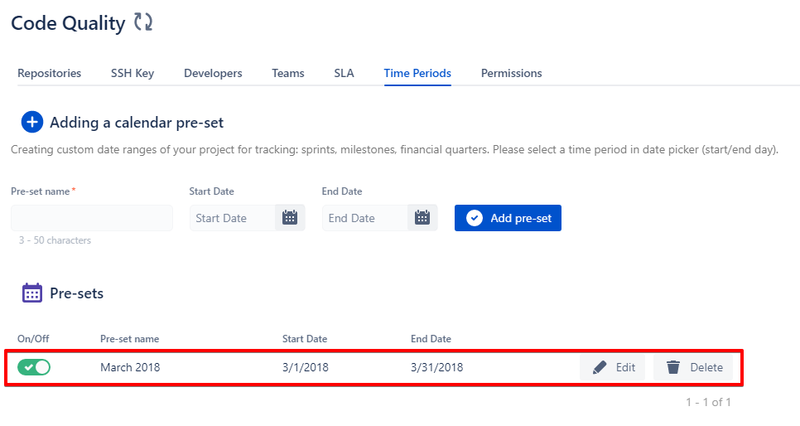 Go to the add-on settings “Time Periods” tab. Possible to Enable / Disable a pre-set via the “On/Off” toggle. If it’s “On” than a pre-set appears in the pre-set of the “Ratios, Metrics” block in the add-on. Also, it appears in the pre-sets of the “Teams”, “Developers”, “Daily SLA”, “Issues”, “Commits”, “Violations” tabs.